A good tofu press is one of those things in life which, once you start using it, you can't imagine how you managed without it. And if you are already pressing tofu but doing it with a kettle over a cutting board on a tofu block wrapped in a towel (you know who you are), it's time to get with the program. A good tofu press not only saves time and makes things easier, it gets more water out of the tofu than any home-made DIY contraptions. That means easy cooking and better results. Here’s what you need to know about cooking with tofu and the magic of using a tofu press. Simple, sturdy, and great value for money, ​even if the EZ doesn't always get your tofu pressed in under 15 minutes as promised, it's still ​​pretty darn close. 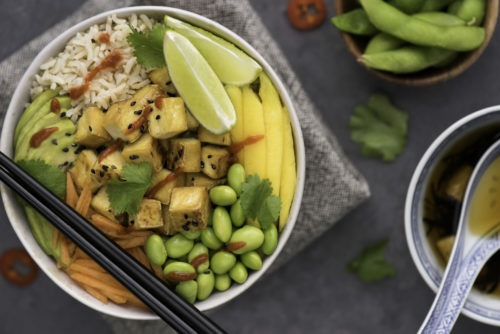 ​Tofu is a low-calorie, low-fat, soy-based product ​used as a staple in many ethnic recipes and ​seen by many as a meat-alternative because of it's high protein content. 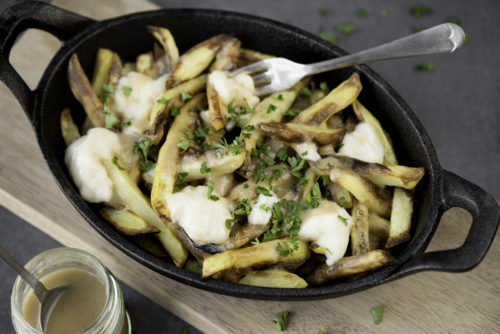 It’s made in a process that’s very similar to cheese-making where the soy beans are ground and mixed with hot water to create a milk-like substance. It’s then curdled and pressed into cakes or blocks. When shopping for tofu, try to find the most natural product available. Look for a non-GMO product and avoid added preservatives and flavoring. These different textures can be used in a number of different ​ways, however the extra firm tofu is by far the most common to use as it is easiest to press, therefore getting a crispy exterior and firm bite. Tofu has gotten a bad rap in many cultures. Most people cringe when they hear the word 'tofu', thinking that it’s a bland, strangely-textured ingredient relegated to vegans and the super health-conscious. This is usually because tofu without being pressed of it's water is a mushy mess that is difficult to flavor and appears more sloppy than baby food. Learning how to press tofu will help you create a better texture and improve flavor-absorption. Double this with great flavors and boom, it's a whole different world. ​Not quite sure what to do with tofu? When I first started experimenting with tofu, I looked for recipes that were similar to non-tofu meals I already enjoyed. Adding ​tofu to a teriyaki stir ​fry for example, or a pad thai, are great examples (and ​are still my most common dishes where I use tofu). But when you get tofu pressed they work all by themselves as long as you ​get the flavors right - try these Tofu Buffalo 'Wings' to see what I mean. Breakfast options include tofu scramble, smoothies, quiche, breakfast tacos, pancakes or frittatas. For lunch or dinner, try it baked, pan-seared, stir-fried, or chopped up like noodles. One of the best features of tofu is that it easily absorbs the flavors of the ingredients it’s mixed with. As you start trying out new recipes, you’ll be impressed with just how versatile it can be. ​A tofu press typically comes in a plate-style or a box-style. Plate-style is similar to a vice, featuring tension knobs that you’ll turn to create pressure. 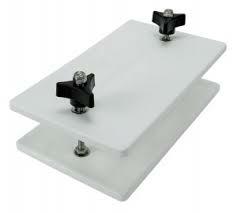 A box-style tofu press uses either heavy weights or spring-loaded plates to force the water out of your tofu. This product is made in the USA of BPA-free plastic and food-grade stainless steel. It works by placing the tofu between two plates and tightening the springs with the adjustable threaded knobs. The four-spring design keeps pressure on the tofu, reducing the need for continual adjustments. This presser also has molded foot pads that aid in stability and protects your countertops from being scratched. This is the same plate style as our top pick the EZ Tofu Press below, the difference being that the springs means it takes slightly longer to press although you don't have to keep screwing it every two minutes. As the tofu releases water the screws don't slacken, the springs keep the pressure up. 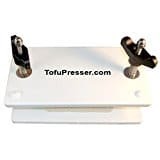 The TofuXpress tofu press is made of stainless steel and FDA-approved thermoplastic. The makers go to lengths to point out that this product was tested over a five-year period before going to market and comes with a 1 year warranty. ​Once you start using a tofu press, you will be using it a ​LOT - so the ​warranty is a big ​bonus. In terms of design, the fluid accumulates on top of the plate and is easy to ​throw out when the pressing is complete. As the tofu is pressed in a box, the sides of the box help the tofu keep its shape (something you don't get in plate presses). A light tension spring attachment can be purchased separately, making it easy to press silken tofu, cheese, and other soft products. ​The TofuXpress also comes with a lid that allows it to double as a marinating dish. This is a clever addition (though to be honest I don't really use it​). ​The instruction book has a recipe guide (a very ​nice touch) making it an attractive choice for those just starting out in their tofu-journey. This two-knob plate press features a stainless-steel grommet on the top plate which helps with a more consistent press. It also keeps tiny bits of plastic from contaminating your tofu. The EZ Tofu Press works by simply tightening the screws every two to three minutes until the press is complete. The centering marks help you get a perfect press every time, and you can expect it to be complete in about 15 minutes. This is a sturdy and clever piece of kit. You do have to stay there tightening every few minutes, and in my opinion it can take a couple of presses after the 15 minutes sometimes, but that's a really minor point. If you are preparing a meal that 15 minutes is part of your prep time. 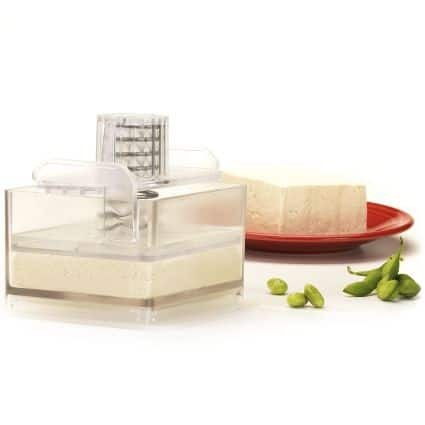 EZ Tofu Press is made in the USA of BPA-free, USDA-approved plastic. It’s easy to clean with soap and water and is dishwasher safe. This is a very economical option that does exactly what it should do. If price is your primary concern, you probably don’t need to look any further. If it appears like the super tofu press above, that's because it pretty much is. The plate style can only really be done two ways - with a spring (between the plates coiled around the bar connected to the top and bottom screws) or by a screw with no spring. There are lots (and we mean lots) of reviews about the lever handles that the tension bands are connected to breaking. This has never happened to us over the four or so years we have had this press, and we do love it. But after reading the reports online I wonder if we were maybe one of the lucky ones! The big plus with this press is how neatly it contains the water and has no mess. You just tip it to pour out the water, and it's small, compact and ultra-stylish. ​Being 100% BPA free​ is a positive for anyone trying to make their kitchen BPA-free, which we have been inching towards over the years. It is, however, more money than the other tofu presses the last time we checked if you are in the USA. For our British cousins, where this press hails from, the inverse is true with the prices of the other presses. But in the US of A, it is simply ​not worth the US dollars ​ compared to the other very effective presses in this review. A shame, as it really has served us well over the years. After pressing lots and lots of tofu (and eating lots too!) the one thing that’s clear is that none of these products is 100% perfect. They all offer an improvement from the old paper-towel method, but some are clearly better than others. If you’re looking for a reasonably-priced tofu press that does exactly what it’s intended to do, the EZ Tofu press is an excellent option. The stainless-steel grommet and centering marks are a nice touch and the price puts it solidly within most people’s budgets. It’s easy to use with just a little bit of practice, and clean-up couldn’t be simpler. Whichever tool you choose, don’t be fooled by promises of a five-minute press. Correctly pressing tofu takes time regardless of the method used. For best results, always press your tofu for at least 15 minutes - longer for better results. 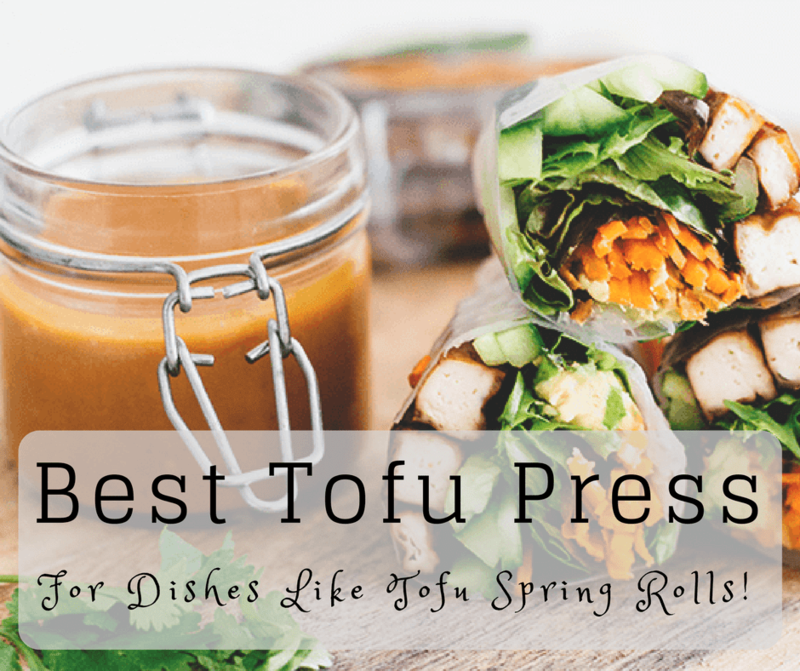 Once you see how much easier it is to use a tofu press, you’ll wonder why you ever wasted your time with the old-fashioned paper towel method. Even better, you’ll realize how tasty tofu can be when properly prepared. Happy cooking!